Turn 30, buy a minivan. Sounds about right. 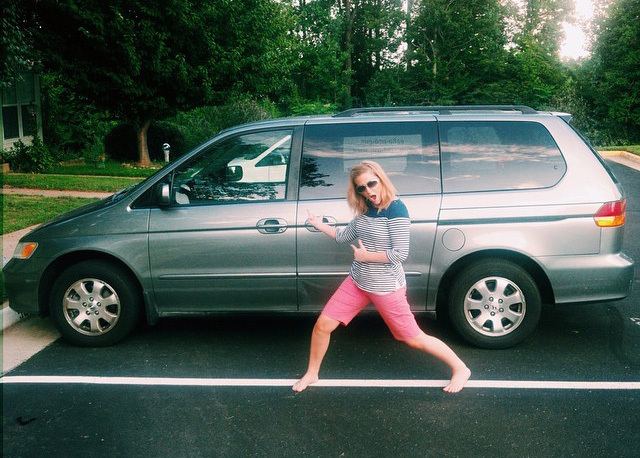 That's right ladies and gents, I am now rocking a minivan. As you can see, I'm pretty darn excited about it. Haters gonna hate. Back in June, packing our Nissan Altima full of all of our beach gear was tricky. Luckily, I am a "master packer", but I knew that this would have to be our last year sans a minivan. We really just needed more space. Purchasing a van kind of fell into our laps. Initially we anticipated purchasing one before next year's beach or when a third child was around the corner. As you can see, it's September and there's no baby announcement following this post. Instead, my mom's neighbor's sister (did you get that?) 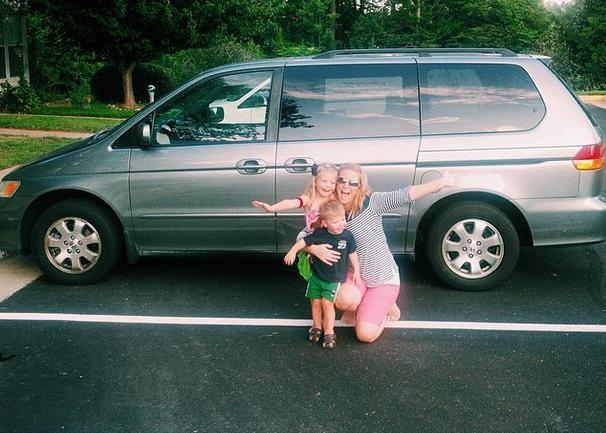 purchased the van for the summer while they visited from Germany. It was time to head back overseas and they needed to unload the van. The deal and opportunity was just too great to pass up, so we pulled the trigger! To the naysayers, sure, "it's a minivan", but it's the nicest car I've ever owned (and I've owned a Benz!). It's seriously my dream car and I've been counting down the day until I joined the Minivan Club! It's all leather interior (no more vomit or chocolate milkshake stains) and smells amazing every time you open the door, and power everything, including the magical sliding doors. After I bought it I found out it had seat warmers! Did I mention it has 6 cup holders JUST in the front seat alone?! Someone get me a slurpee, stat! I cannot tell you how much we love the space. The kids love it - so much so that every time I put Brody in it he screams bloody murder because it's to get in his seat and not play inside. A week ago Brody was having a hard time and Adam hopped into the backseat in 2 seconds to lend a hand. I seriously love it and I am so grateful every time I hop inside to call it mine!